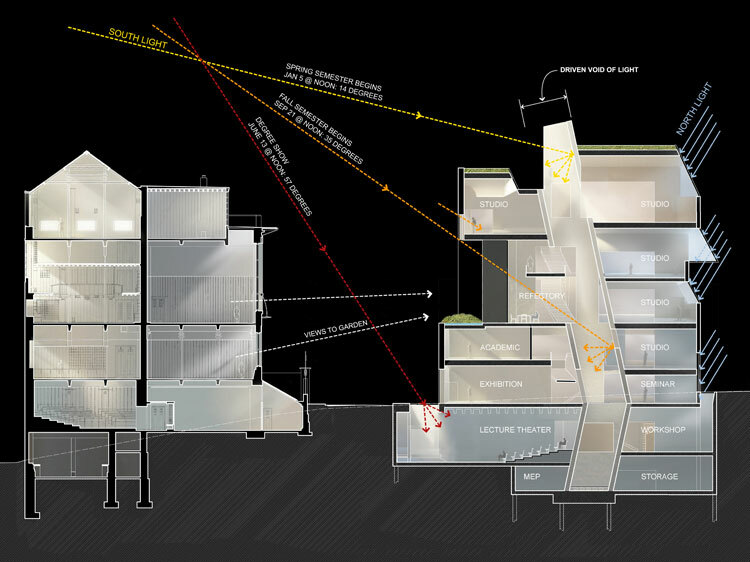 This paper is an attempt to build a meaningful relationship between architecture, structure and body dynamics using the recently constructed Reid Building at the Glasgow School of Art as a case study. 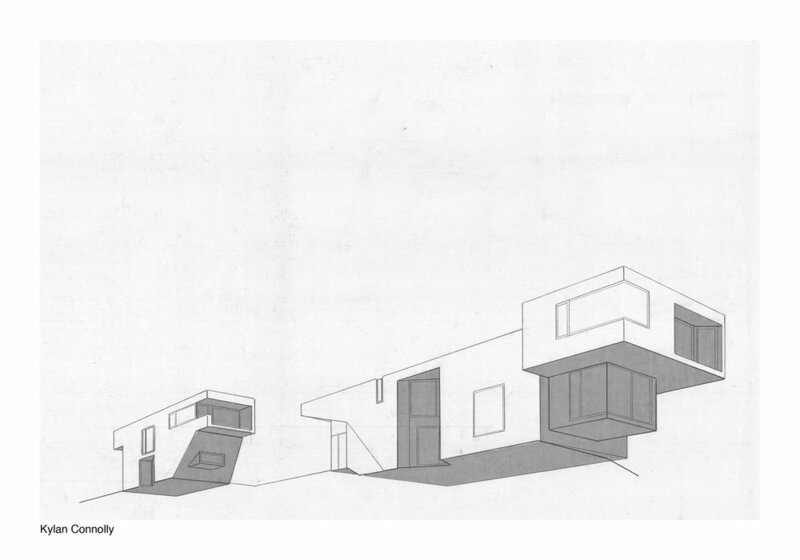 We argue that space, time and meaning in architecture are poetically crafted by the thorough understanding of the relationship between body dynamics and architecture through the physical performance in traditional Japanese martial arts and the role of structural analogies in the making of architecture. 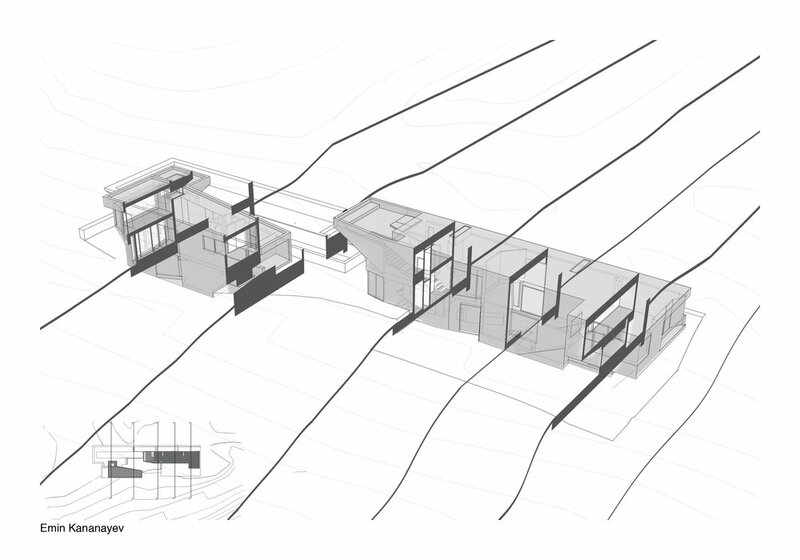 We used both analogical reasoning and personal experience in both domains of architecture and martial arts as a reflective research method. 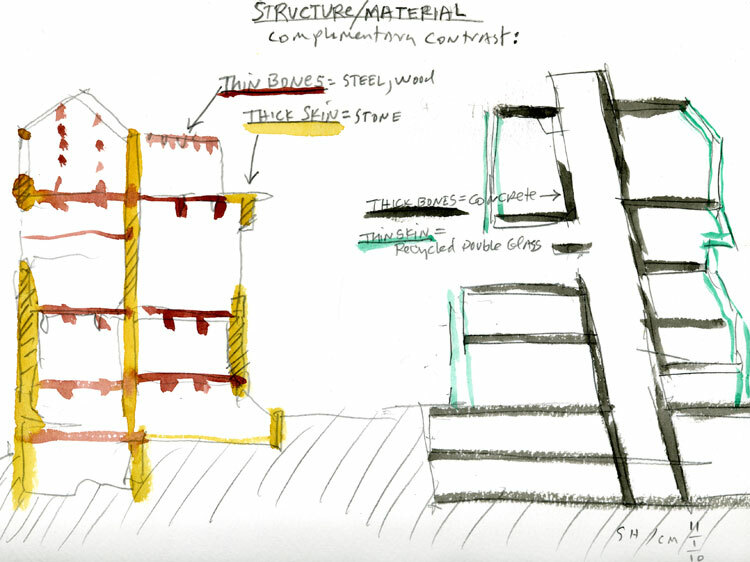 The story of making the Reid Building supports our argument as we compare it to the structure, strength, and body dynamics. 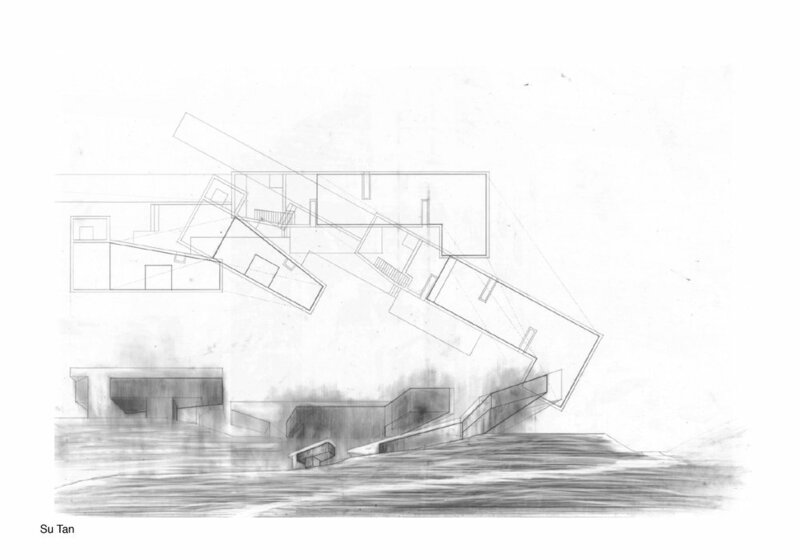 The featured drawings depart from analysis of the context, formal design, phenomenological potentials, and conceptual narrative of the Oceanic Retreat, an unbuilt project that comprises two houses designed in 2001 for a site overlooking the Pacific Ocean in Kaua’i, Hawaii. 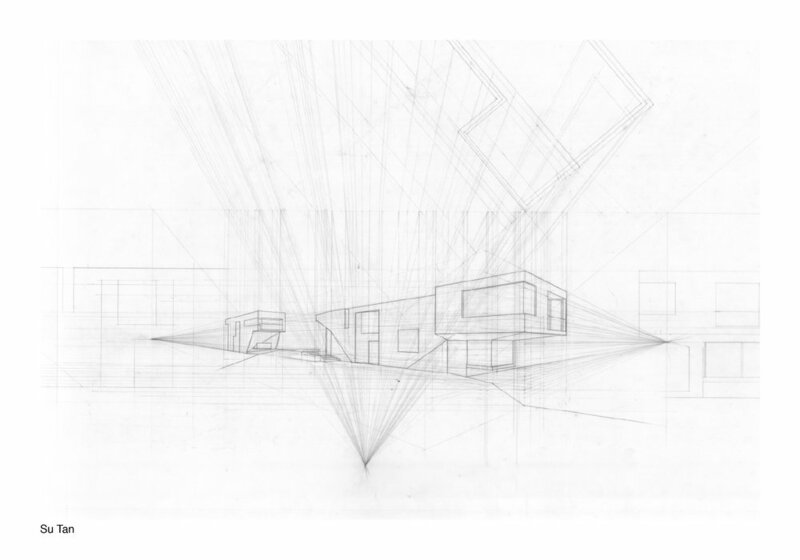 Produced by first-year undergraduate students under the direction of Professor Ashley Simone at Pratt Institute School of Architecture, the drawings are guided by a pedagogical method that encourages students to explore digital and analog modes of representation, and to consider the potentials of architectural drawing as a tool for investigation, abstraction, speculation, and generation of narrative. 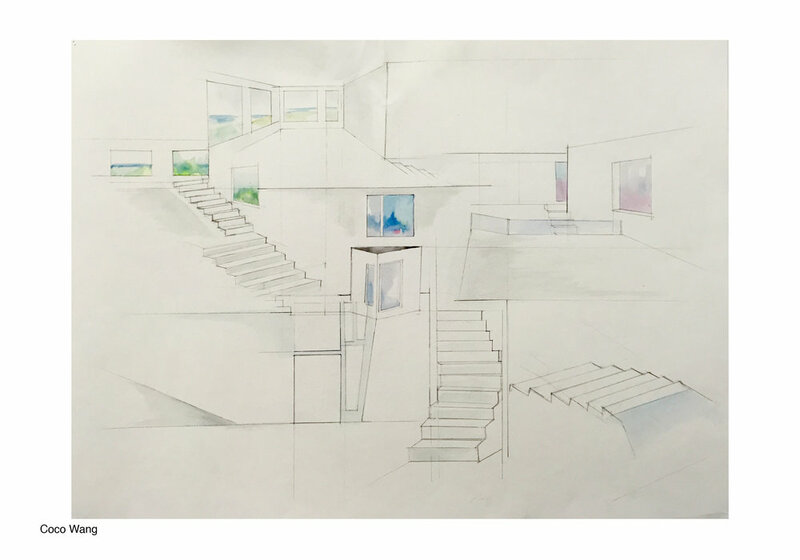 As a means to begin their semester-long investigations, students are provided with the conceptual narrative and a set of watercolor plans, sections, elevations, and perspectives made by Steven Holl. 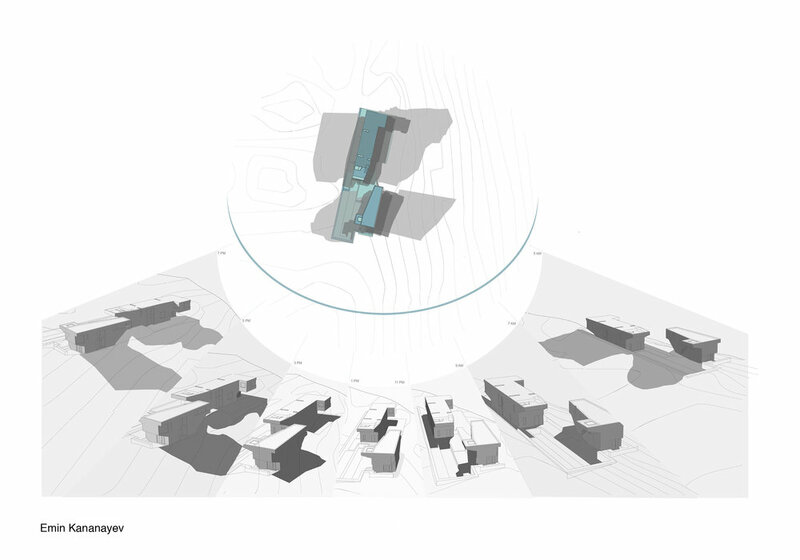 The resultant student drawings RE-present the Oceanic Retreat from various points of view. Please contact info@smhfoundation.org if you would like to submit research or scholarly materials to be reviewed for publication in this archive.